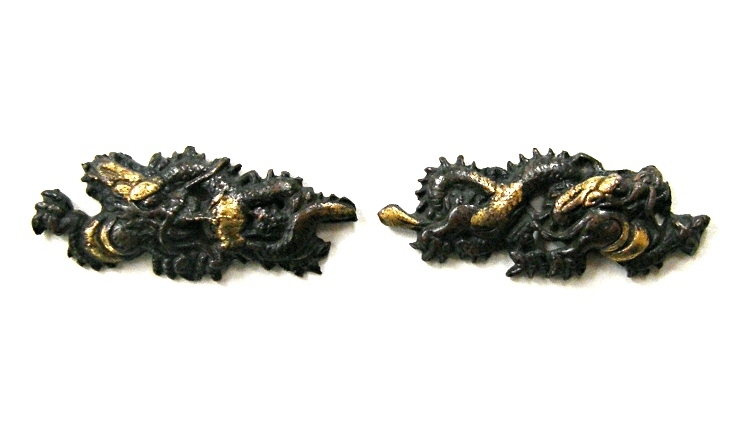 A pair of Japanese authentic Menuki made of Shakudo. 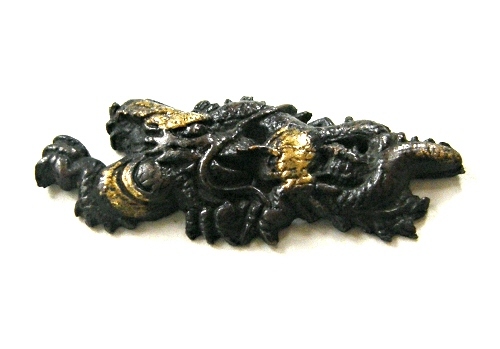 These are expressed in the Katachibori carving method, and the Iroe inlay with gold. This Menuki set looks very nice ! 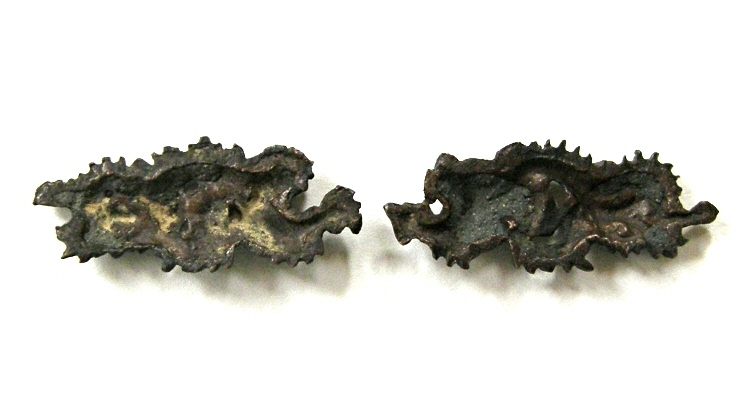 This Menuki set is made of Shakudo (red copper, alloy of copper and gold). 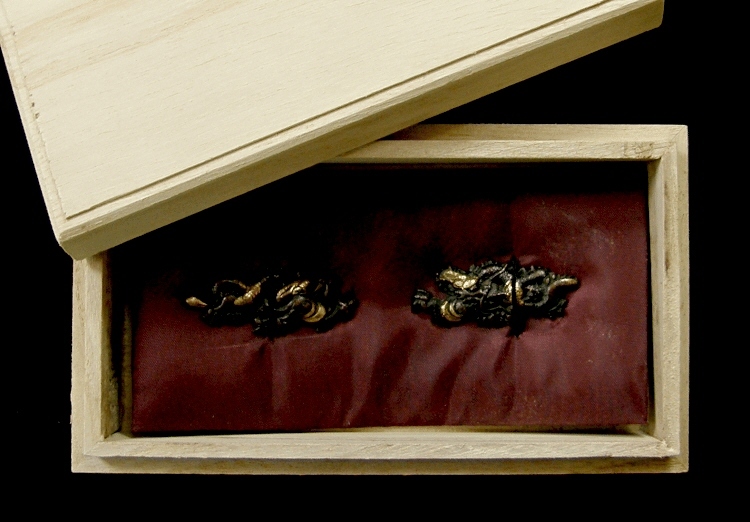 The Menuki are outlined in the Katachibori. 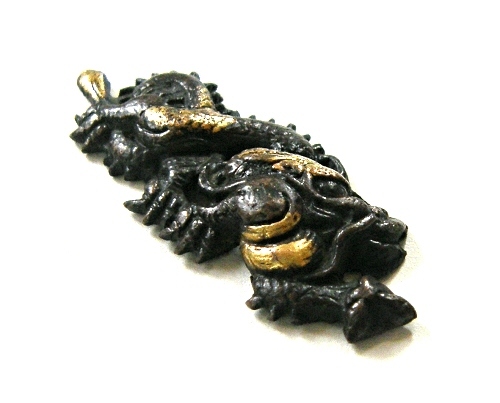 These are Iroe inlaid with gold.